Patrick Kane may go on summer drinking binges and draw fire from the media, the Chicago fan base and every Blackhawks blog out there, but one thing can not be denied, the guy has got talent, and lots of it. 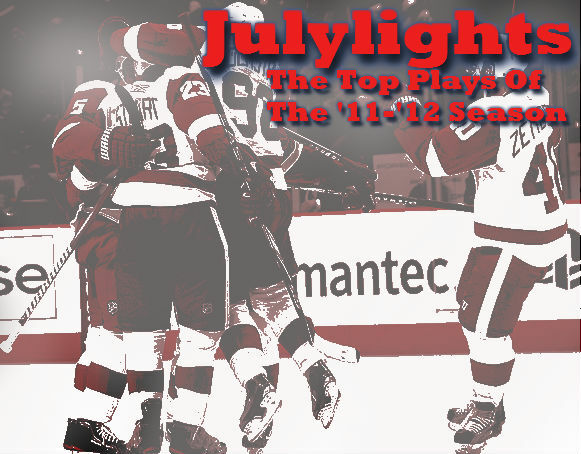 He has already made an appearance in "Julylights" with his spin-o-rama pass to Marain Hossa, and here he is again. Kane will likely make one more appearence this month as well, and he has Jimmy Howard to thank for that one, but for know lets focus on this one. Last season, Kane was fourth on the Blackhawks' roster with 23 goals, second with 43 assists and third with 66 points. Holy dangles that was nice, and with a sick celly to top it all off. Minnesota Wild goaltender, Niklas Backstrom never had a shot here. But one thing I've wondered since seeing this move is, where's the poke check? Backstrom didn't go for it, and because of that Kane has his second appearance here at The Sin Bin.